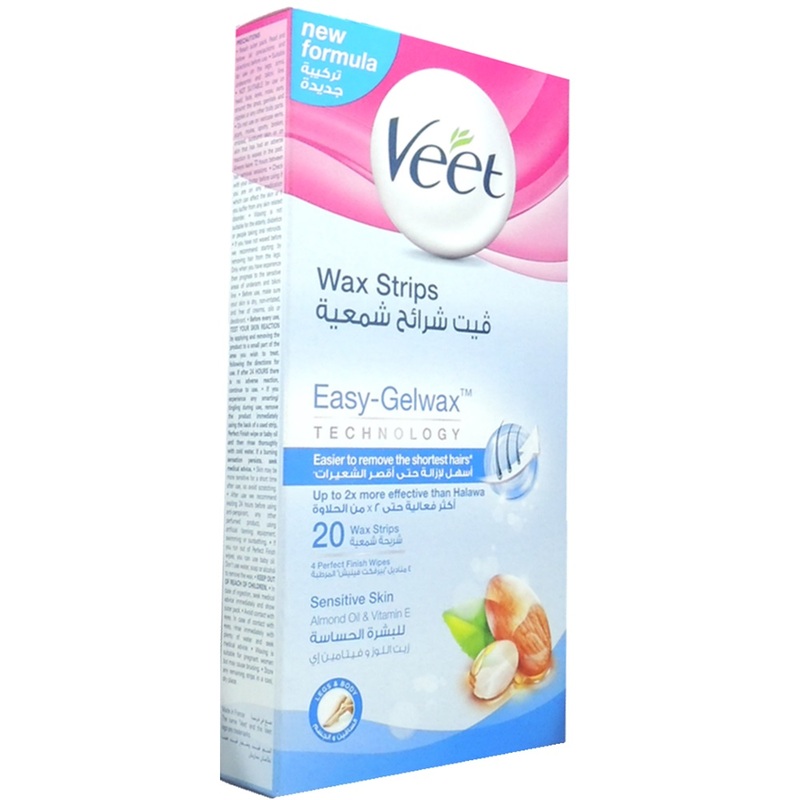 Veet Sensitive Skin Wax Strips with easy gelwax technology flows around and actively grips the shortest hairs. It removes the hairs from the root, for up to 28 days of smoothness. Specially formulated with almond oil and Vitamin E known for their benefits on sensitive skin.